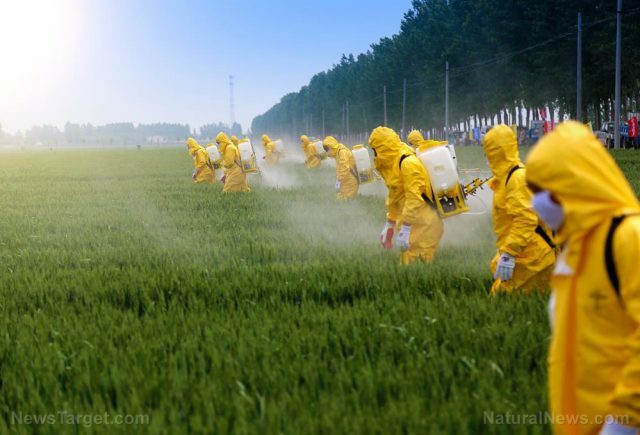 (Natural News) Big Biotech and Big Agriculture have spent millions of dollars to push the narrative that chemical pesticides, herbicides and fertilizers are perfectly safe for humans, incapable of causing death, disease and other harmful effects. But a growing body of research proves what skeptics have long suspected: Pesticides are dangerous chemicals, capable of harming any living organism that comes into contact with them. Many of the worst diseases plaguing humanity right now have been linked to pesticide exposure, including cancer, Alzheimer’s disease and other devastating health conditions. It only stands to reason that something capable of killing insects has a good chance of harming humans; we are all living things, and we share a lot more of our DNA that you might expect. Humans and fruit flies share 61 percent of their DNA. DNA similarities in humans and bananas are also at 60 percent. Business Insider reports NASA actually used fruit flies to test out what effects space travel might have on human DNA. And we’re still supposed to believe toxins capable of killing living organisms won’t harm us, just because we’re human? The so-called target specificity of pesticides has already been debunked; those chemicals weren’t supposed to kill bees, and now many species of bee are endangered. Many of the horrific diseases and health conditions afflicting the world today have been linked to pesticides. As Natural Health 365 reports, there is scientific evidence to support the increased risk of harm from pesticide exposure in relation to at least nine different diseases. One of the most prolific diseases pesticide exposure is linked to is cancer. According to reports, 28 out of the 40 most-used pesticides in and around schools are linked to cancer. There are at least 30 different forms of cancer that may be tied to exposure, but some of the most common cancers are cancers of the lymph system, such as non-Hodgkin’s lymphoma. Lymph system cancers are also the third most common type of cancer seen in children. For adults, they are the seventh most-diagnosed cancer. Research has also shown that children who are exposed to pesticides on a regular basis have an increased risk of developing leukemia, a blood cancer. Beyond cancer, pesticide exposure has been linked to a number of other devastating health conditions. Diabetes, asthma, reproductive and sexual dysfunction, birth defects and learning disabilities are just some of the hazardous effects pesticides can have on humans. Pesticides have also been linked to damaging neurological conditions in older adults, like Alzheimer’s disease and Parkinson’s disease. As Natural News writer Isabelle Z. recently reported, research has shown that even low-level exposure to pesticides can increase your risk of Parkinson’s disease, and this risk is even more pronounced in people who are already predisposed to the condition. The study authors found that people who are already at risk of Parkinson’s were especially vulnerable to the deleterious effects of toxic agrochemicals. For them, the risk of disease may be increased by up to 250 percent. Many pesticides are also known endocrine disruptors, and can completely up-end the entire hormonal system. As sources note, endocrine disruptors can affect your hormones, and the organs and systems that produce and respond to them, as well. One of the most common pesticides known for causing endocrine problmes is is atrazine. Pesticides are linked to a wide array of health problems and should be avoided at all costs. Anytime we “play” God we are trespassing – on His Creation.